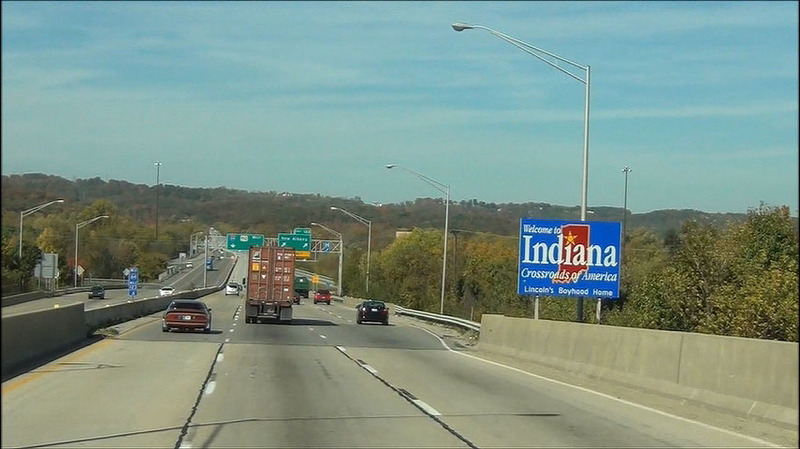 Indiana welcome sign as Interstate 64 West enters the Hoosier State from Kentucky by crossing the Ohio River. (Photo taken 10/16/12). 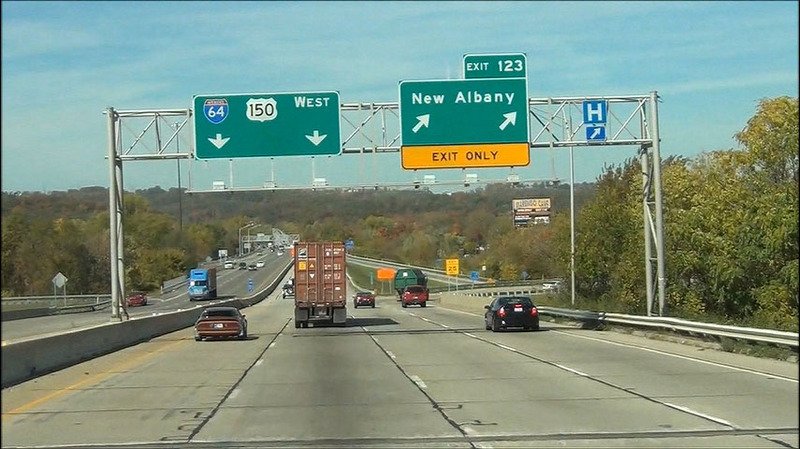 Interstate 64 West at Exit 123: New Albany (Photo taken 10/16/12). Speed limit signs at mile marker 122.8. The speed limit starts out at 55 mph as you pass through New Albany. (Photo taken 10/16/12). 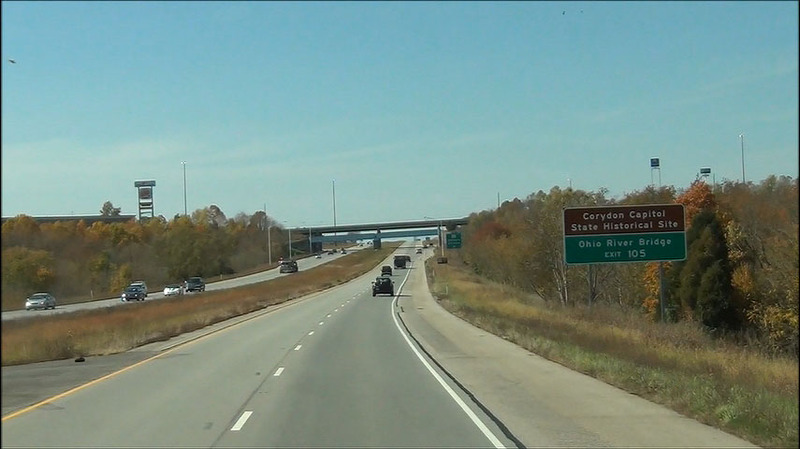 Interstate 64 West at Exit 121: Interstate 265 / IN 62 East (Photo taken 10/16/12). Use Exit 119 for Mt. St. Francis and Huber Winery. (Photo taken 10/16/12). 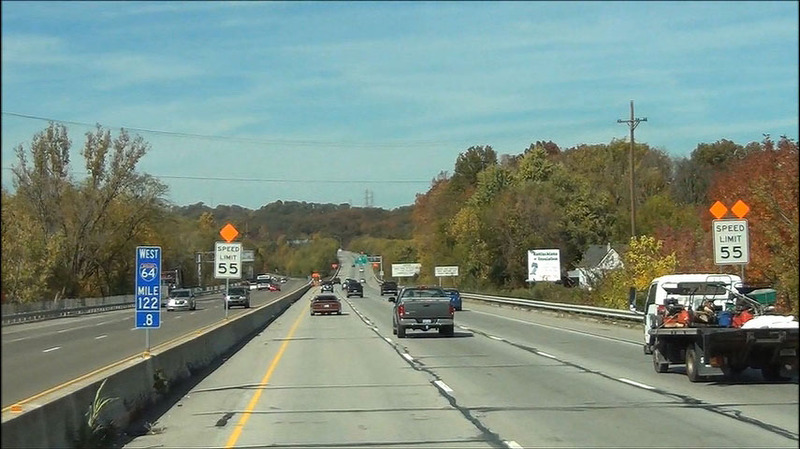 Interstate 64 West at Exit 119: US 150 West - Greenville / Paoli (Photo taken 10/16/12). Interstate 64 West shield located near mile marker 119. (Photo taken 10/16/12). 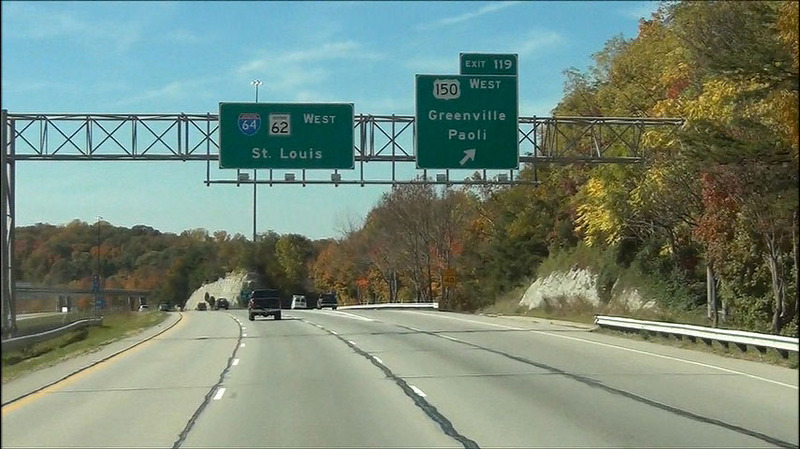 Interstate 64 West at Exit 118: IN 62 / IN 64 West - Edwardsville / Georgetown (Photo taken 10/16/12). 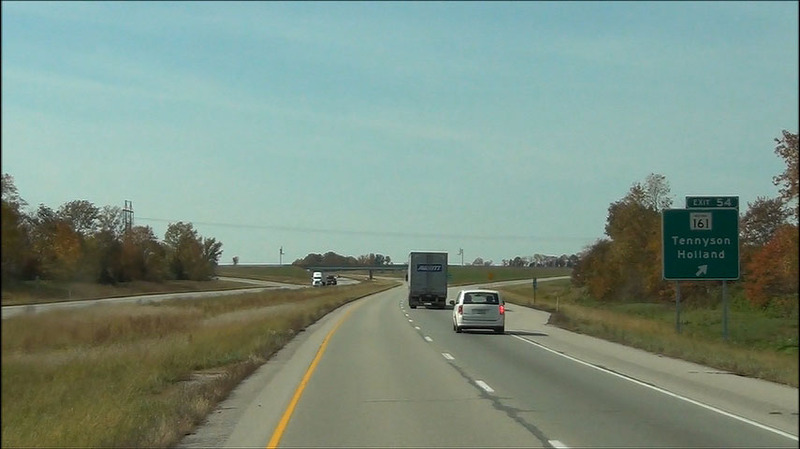 Near mile marker 117, the speed limit increases to 70 mph for cars and 65 mph for trucks, which is standard on most rural Interstates in Indiana. (Photo taken 10/16/12). Mileage sign located near mile marker 117. It's 6 miles to Lanesville, 15 miles to Corydon, and 246 miles to St. Louis. (Photo taken 10/16/12). 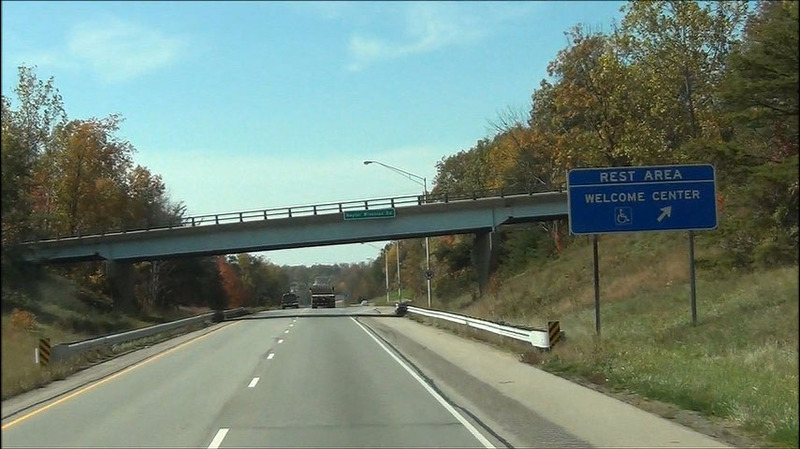 Interstate 64 West at the Rest Area / Welcome Center located near mile marker 115. (Photo taken 10/16/12). 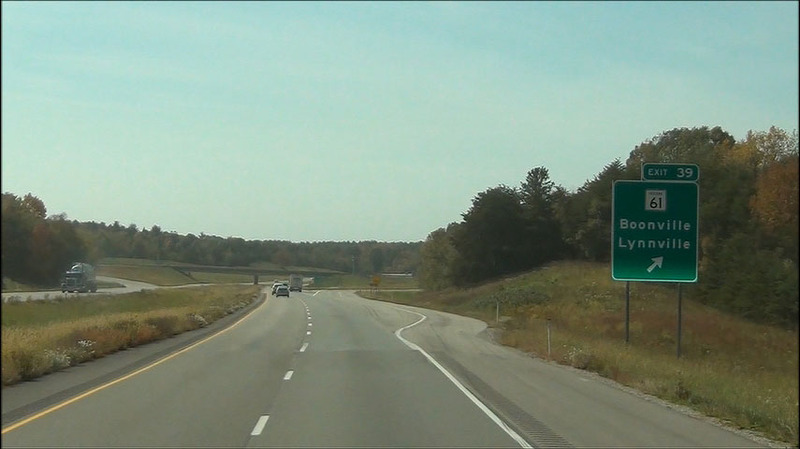 Interstate 64 West at Exit 113: Lanesville (Photo taken 10/16/12). Interstate 64 West: Road view from mile marker 109. (Photo taken 10/16/12). 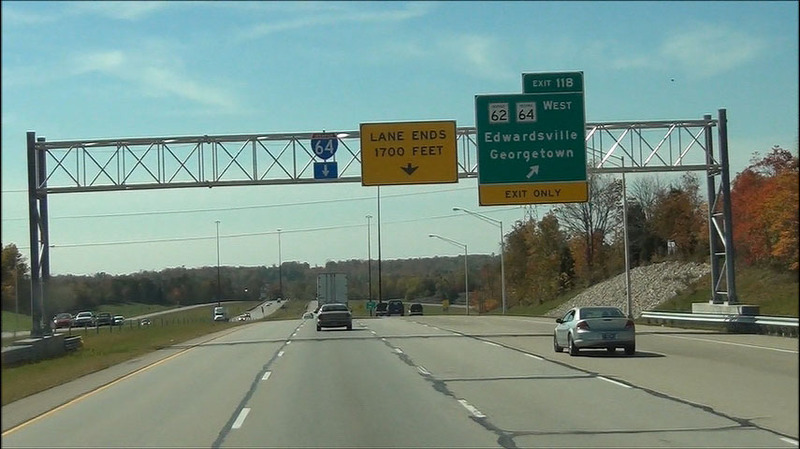 Use Exit 105 for Corydon Capital State Historic Site and Ohio River Bridge. (Photo taken 10/16/12). 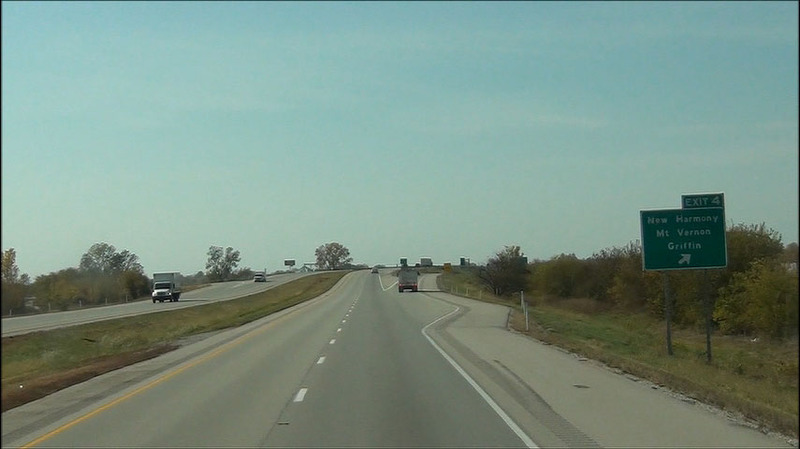 Interstate 64 West at Exit 105: IN 135 - Palmyra / Corydon (Photo taken 10/16/12). 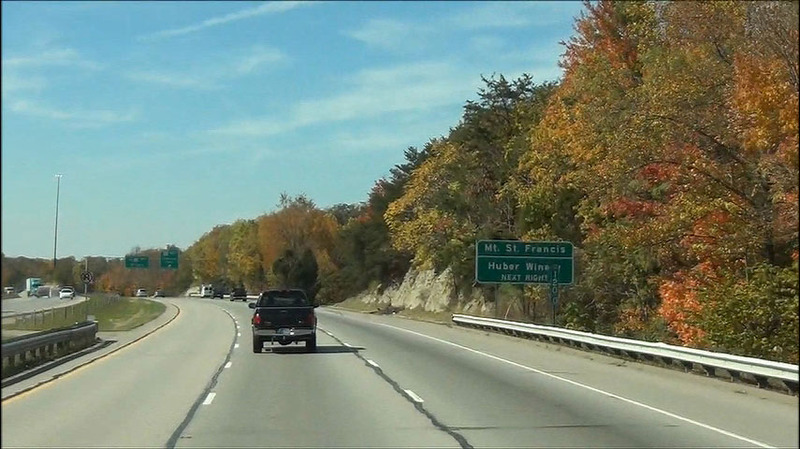 Interstate 64 West: Road view from mile marker 101. (Photo taken 10/16/12). 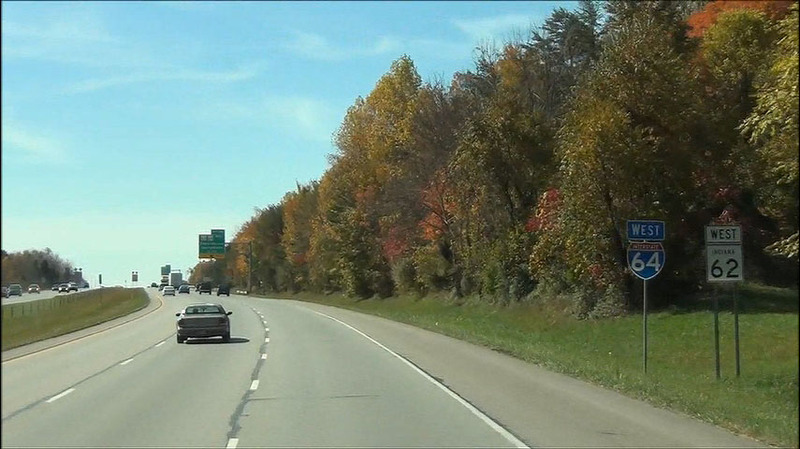 Interstate 64 West: Road view from near mile marker 99. (Photo taken 10/16/12). 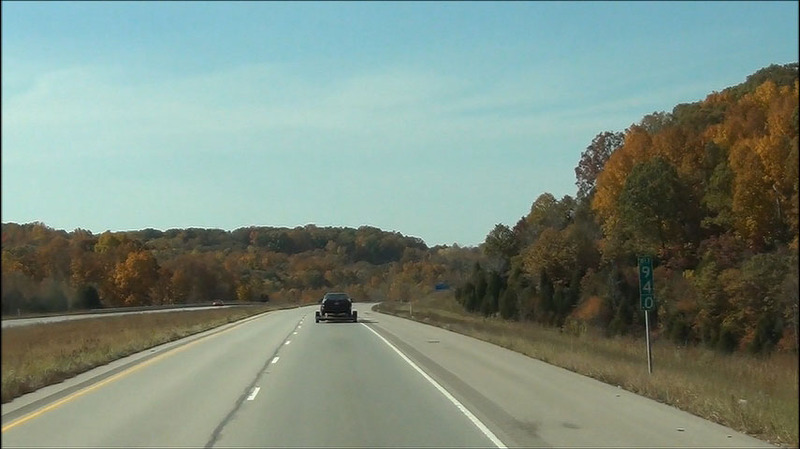 Interstate 64 West: Another road view, this time from mile marker 94. (Photo taken 10/16/12). Use Exit 92 to Marengo Cave. (Photo taken 10/16/12). 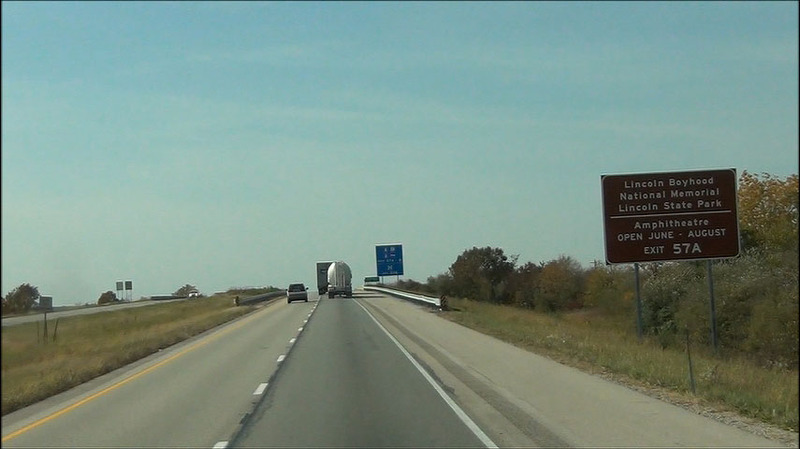 Interstate 64 West at Exit 92: IN 66 - Leavenworth / Marengo (Photo taken 10/16/12). Interstate 64 West: Road view from mile marker 89. (Photo taken 10/16/12). 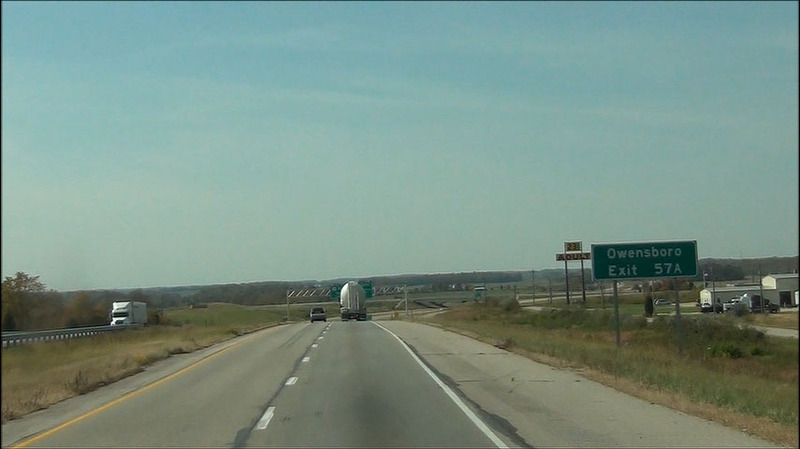 Interstate 64 West at Exit 86: IN 237 North - Sulphur / English (Photo taken 10/16/12). 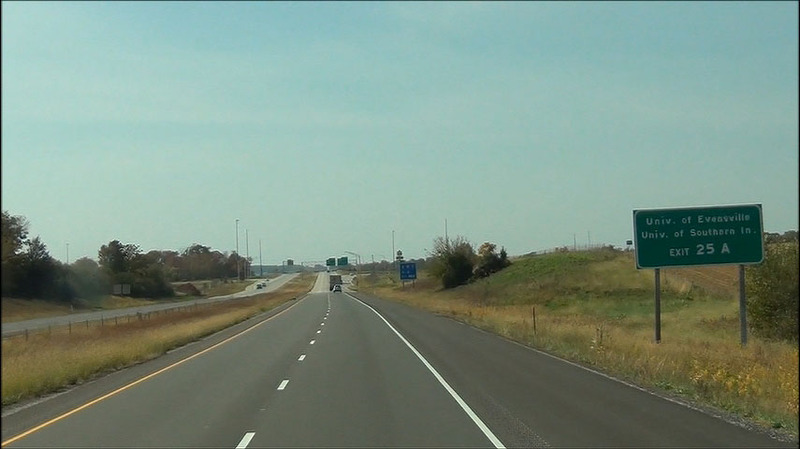 Interstate 64 West: Road view from mile marker 83. (Photo taken 10/16/12). Use Exit 79 for French Lick Resort/Casino and Patoka Lake. (Photo taken 10/16/12). 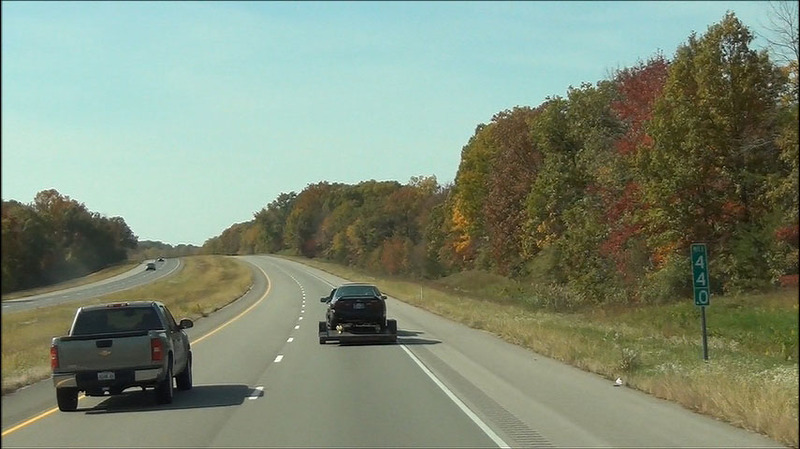 Also use Exit 79 for Hoosier National Forest Recreational Facilities and Ohio River Bridge. (Photo taken 10/16/12). 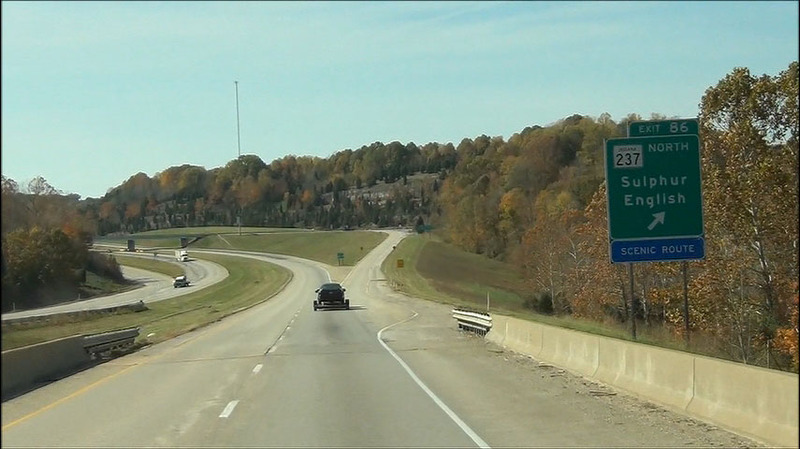 Interstate 64 West at Exit 79: IN 37 - Tell City (Photo taken 10/16/12). 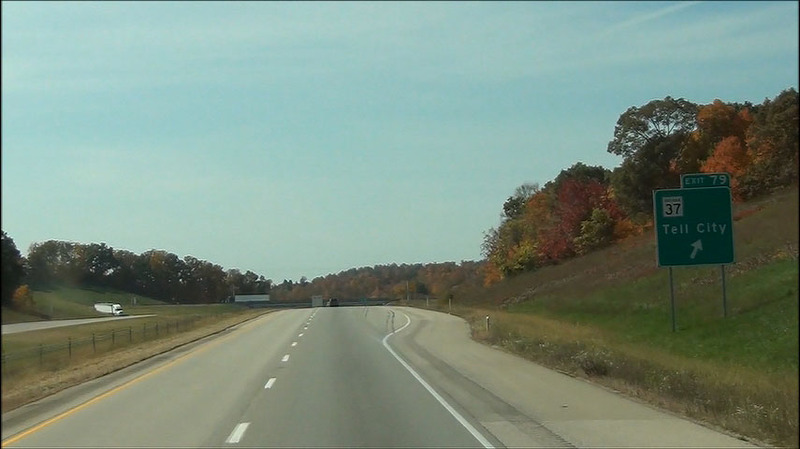 Interstate 64 West: Road view from mile marker 74. (Photo taken 10/16/12). Use Exit 72 for St. Meinrad Archabbey/Seminary. (Photo taken 10/16/12). 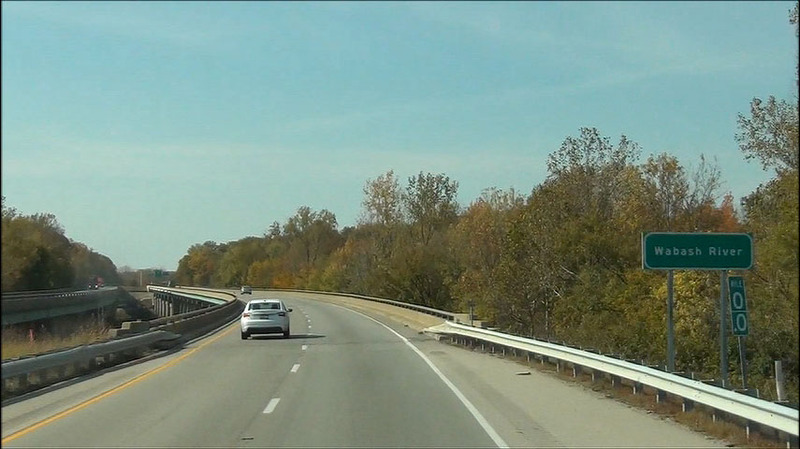 Interstate 64 West at Exit 72: IN 145 - Bristow / Birdseye (Photo taken 10/16/12). 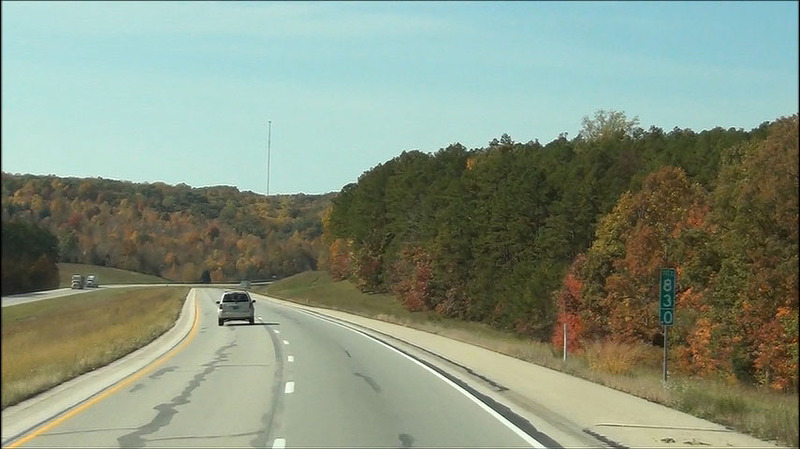 Interstate 64 West: Road view from mile marker 66. (Photo taken 10/16/12). Use Exit 63 to Holiday World. (Photo taken 10/16/12). 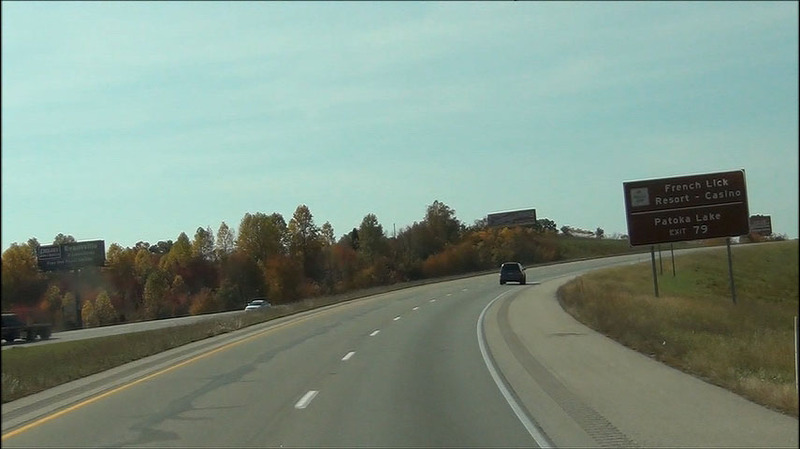 Interstate 64 West at Exit 63: IN 162 - Santa Claus / Ferdinand / Jasper (Photo taken 10/16/12). 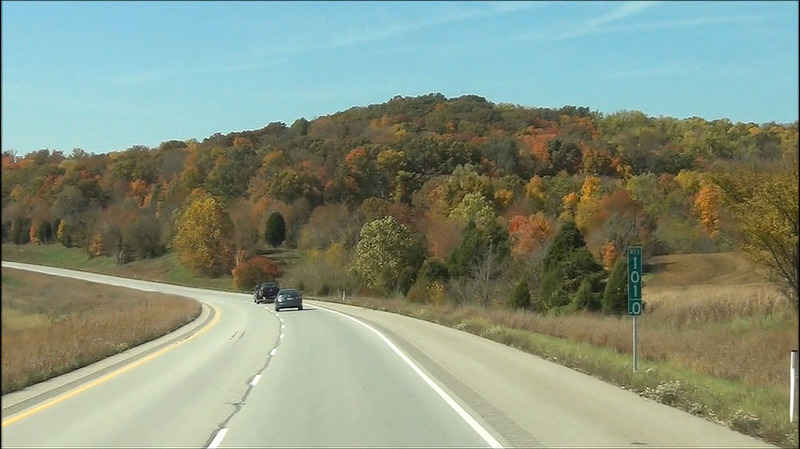 Interstate 64 West: Road view from mile marker 60. (Photo taken 10/16/12). Interstate 64 West at the Rest Area located near mile marker 59. (Photo taken 10/16/12). Use Exit 57A for Lincoln Boyhood National Memorial and Lincoln State Park. (Photo taken 10/16/12). Also use Exit 57A to Owensboro. (Photo taken 10/16/12). 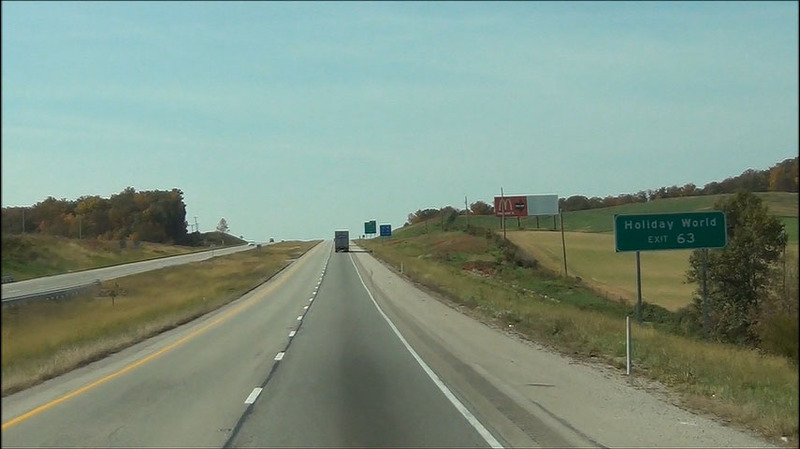 Interstate 64 West at Exit 57B: US 231 North - Huntingburg / Jasper (Photo taken 10/16/12). 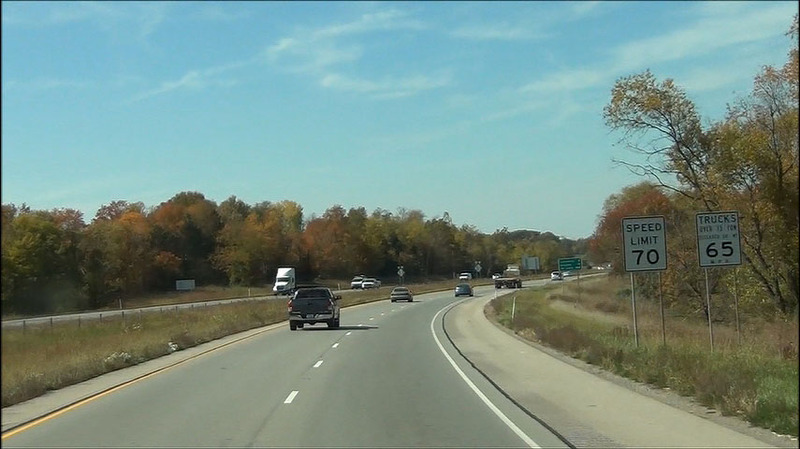 Interstate 64 West at Exit 57A: US 231 South - Dale (Photo taken 10/16/12). 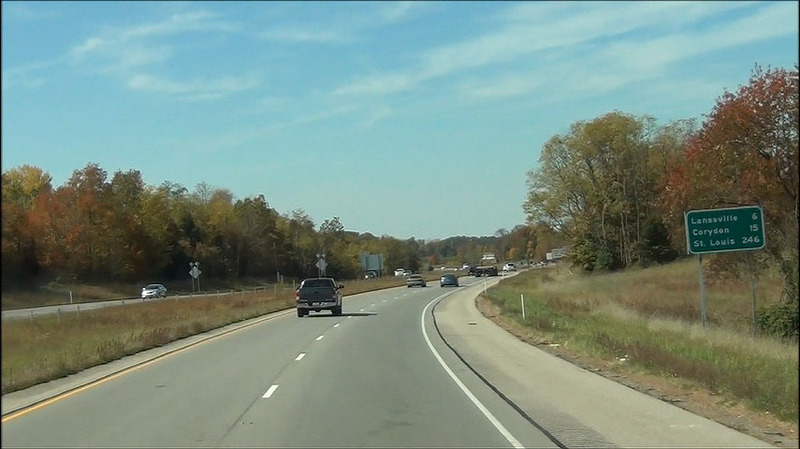 Interstate 64 West at Exit 54: IN 161 - Tennyson / Holland (Photo taken 10/16/12). 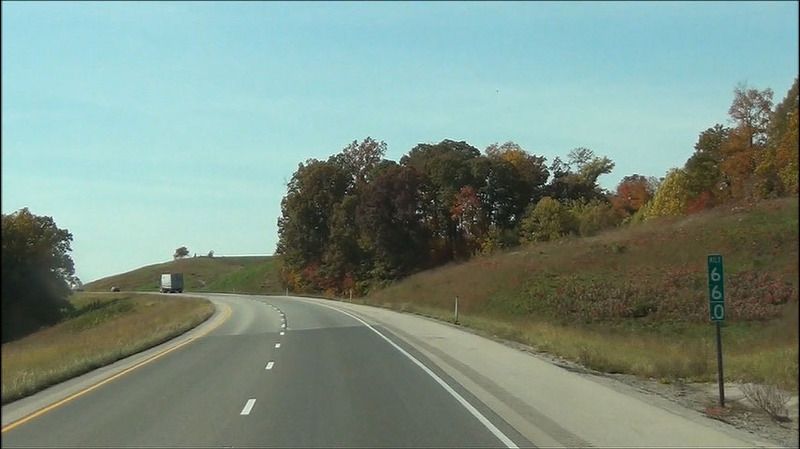 Interstate 64 West: Road view from mile marker 49. (Photo taken 10/16/12). 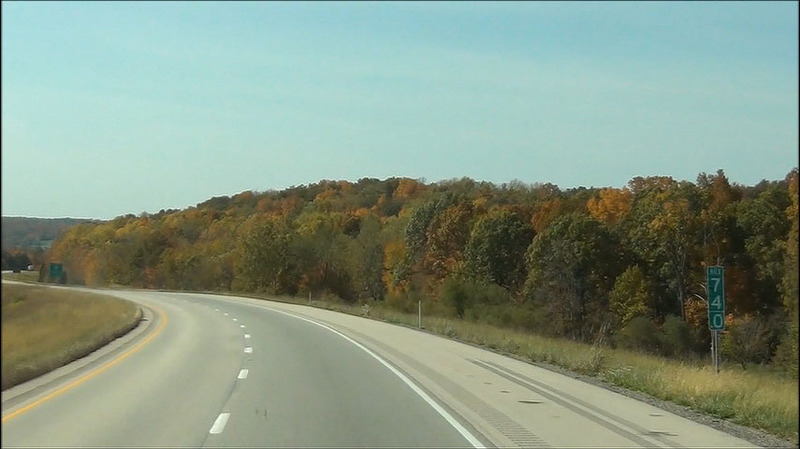 Interstate 64 West: Road view from mile marker 44. (Photo taken 10/16/12). 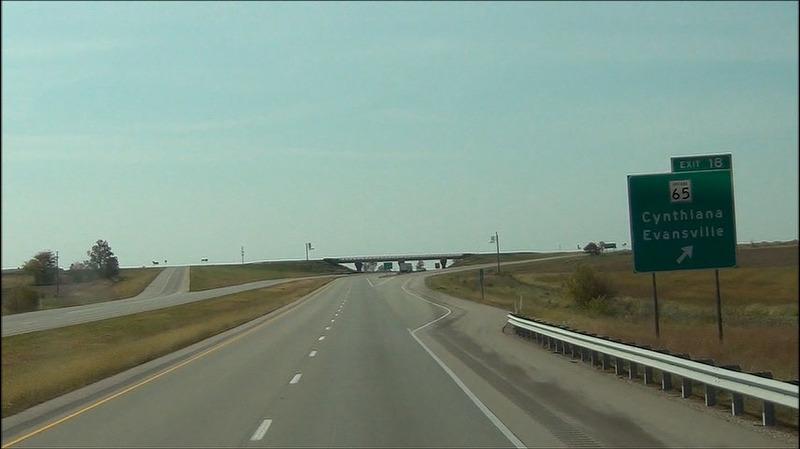 Interstate 64 West at Exit 39: IN 61 - Boonville / Lynnville (Photo taken 10/16/12). Interstate 64 West: Road view from mile marker 34. (Photo taken 10/16/12). Use Exit 29B to Oakland City University. (Photo taken 10/16/12). 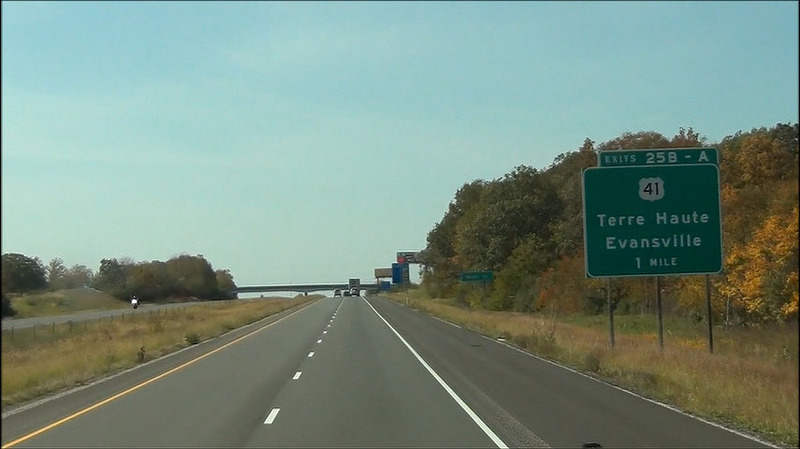 Interstate 64 West at Exit 29B: Interstate 69 North / IN 57 North - Petersburg (Photo taken 10/16/12). 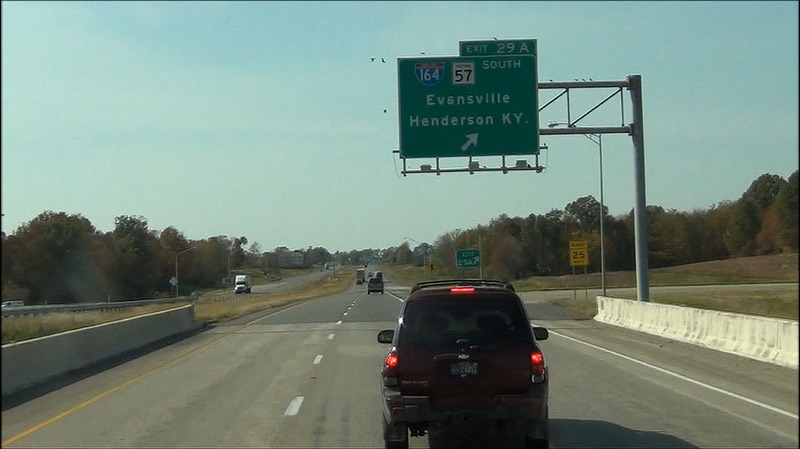 Interstate 64 West at Exit 29A: Interstate 164 South / IN 57 South - Evansville / Henderson, KY (Photo taken 10/16/12). Interstate 64 West approaching Exits 25B-A - 1 mile. (Photo taken 10/16/12). Use Exit 25A to Evansville Regional Airport. (Photo taken 10/16/12). 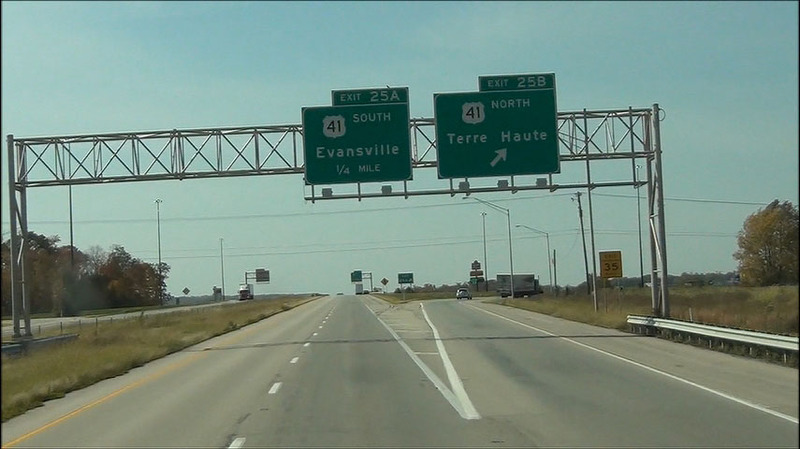 Also use Exit 25A for University of Evansville and University of Southern Indiana. (Photo taken 10/16/12). 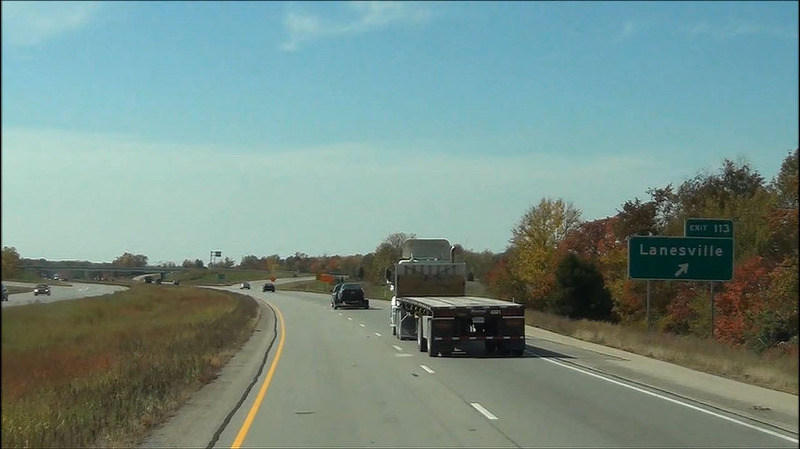 Interstate 64 West at Exit 25B: US 41 North - Terre Haute (Photo taken 10/16/12). 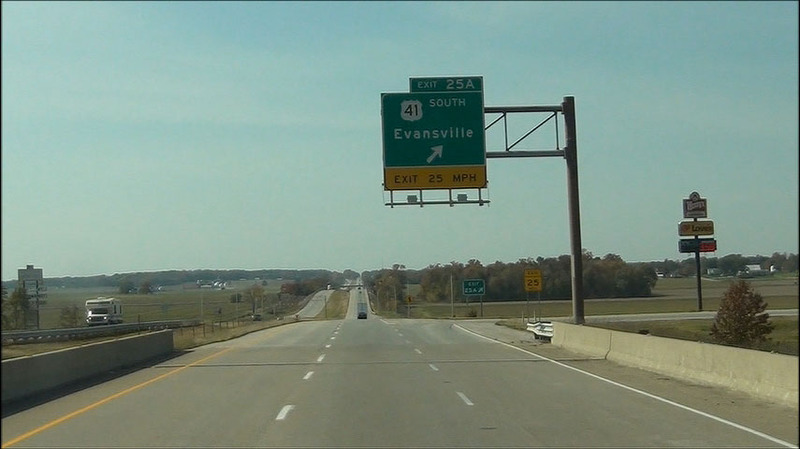 Interstate 64 West at Exit 25A: US 41 South - Evansville (Photo taken 10/16/12). Interstate 64 West: Road view from mile marker 21. (Photo taken 10/16/12). 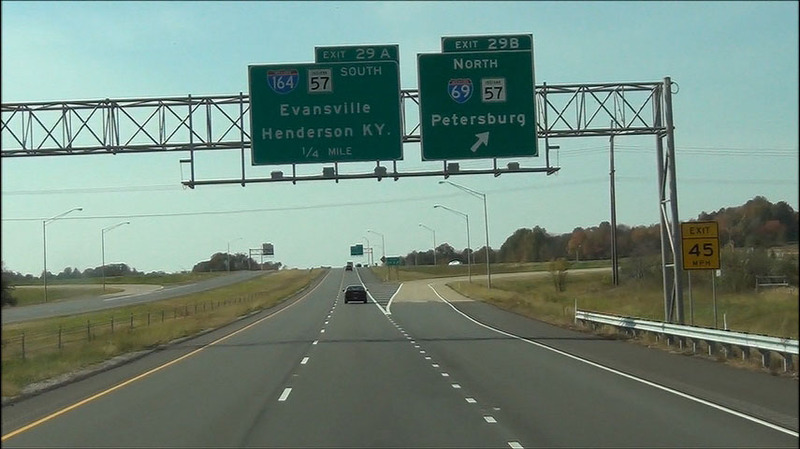 Interstate 64 West at Exit 18: IN 65 - Cynthiana / Evansville (Photo taken 10/16/12). 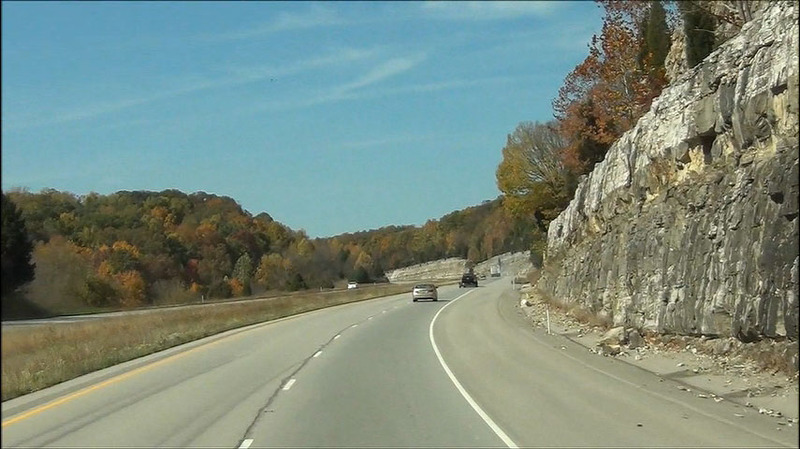 Interstate 64 West: Road view from mile marker 15. (Photo taken 10/16/12). 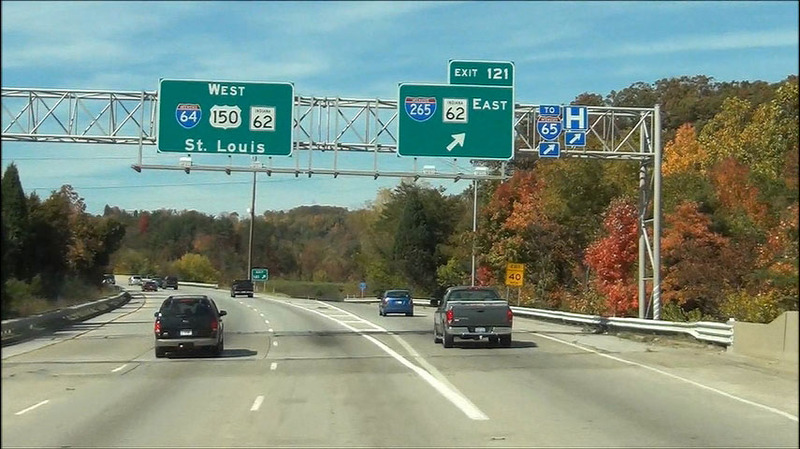 Interstate 64 West at Exit 12: IN 165 - Poseyville (Photo taken 10/16/12). 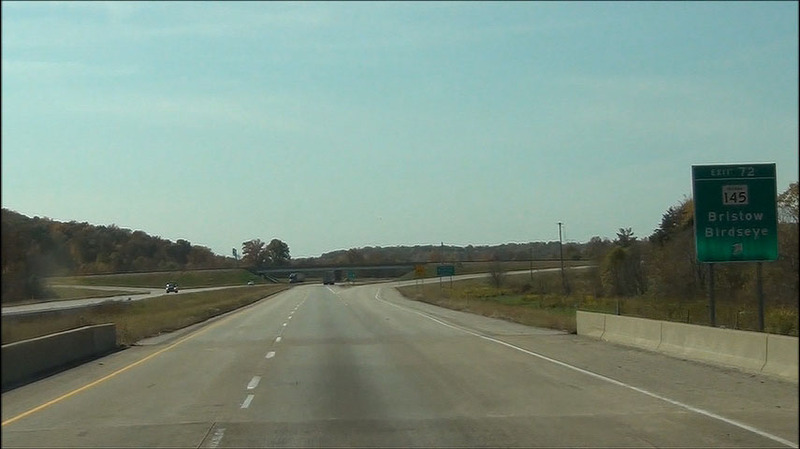 Interstate 64 West: Road view from mile marker 8. (Photo taken 10/16/12). Use Exit 4 to New Harmony Historic Area and Harmonie State Park. (Photo taken 10/16/12). 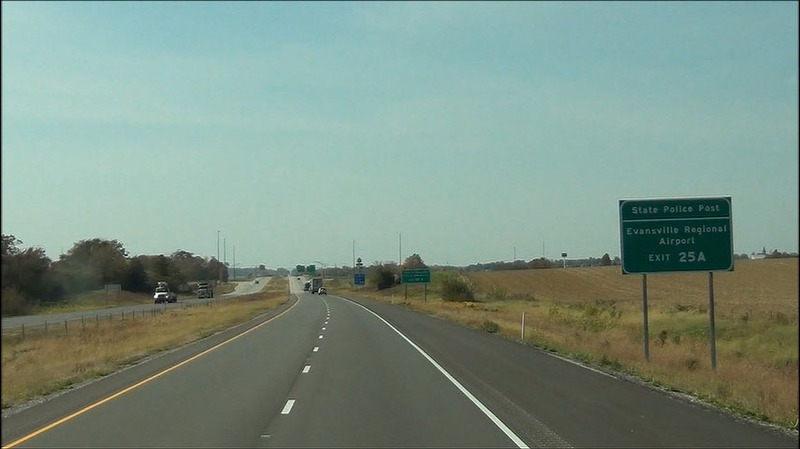 Interstate 64 West at Exit 4: IN 69 South - New Harmony / Mt. Vernon / Griffin (Photo taken 10/16/12). 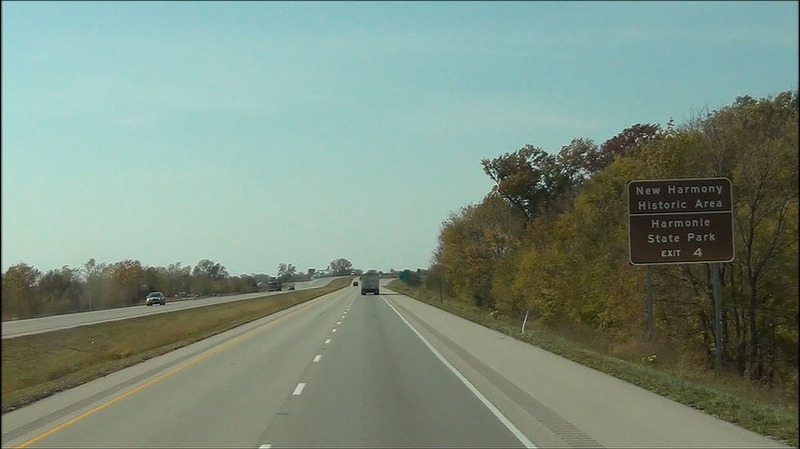 Interstate 64 West at mile marker 0, as it prepares to cross the Wabash River into Illinois. (Photo taken 10/16/12).